Rodial skincare president Maria Hatzistefanis is delighted to present this breakthrough project. The first Rodial Art & Design Challenge saw twenty five second year Central Saint Martins BA Product Design students tasked with a project to design a bespoke case for the six Rodial make-up brushes. The brief was to be creative and functional, whilst incorporating the Rodial DNA. To choose the winning design Maria created a renowned panel of judges including Erin O’Connor and Henry Holland and to celebrate the first challenge of its kind, commissioned celebrity photographer Greg Williams to do a shoot with Rodial make-up brushes, along with Erin. Aaron Chung was announced as the winner for his innovative and stylish final design which is on sale now at Rodial.co.uk and in-store exclusively at Harvey Nichols, Knightsbridge. His beautiful make-up brush case with sleek functionality and style is made from black imitation leather to match the beloved Rodial compacts with silver zip detailing and a wrap around fastening with the iconic Rodial ‘R’, each brush pouch can be also be detached for individual use. Aaron Chung is originally from Hong Kong and has been living in the UK for the last 8 years. Art & design has always been a passion for Aaron, and he has been studying design for the past 6 years, currently a student at Central Saint Martins. 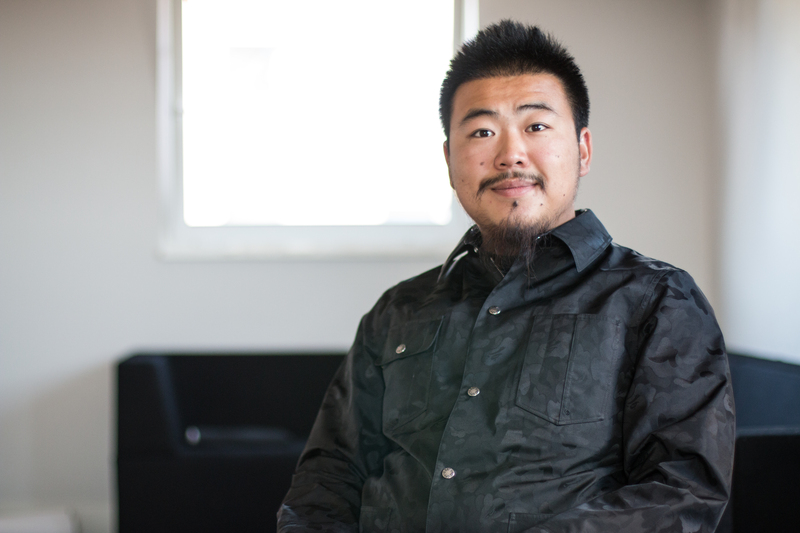 Aaron’s passion is design detail, and believes that form and function are incredibly important in the design process. Aaron embraced the challenge of creating a brush bag for Rodial and spent a lot of time refining and perfecting his idea before presenting the winning design.